Scottish Labour has suggested that it could back the creation of a new public oil company to operate in the North Sea – but an expert has said the case for one is “not proven”. 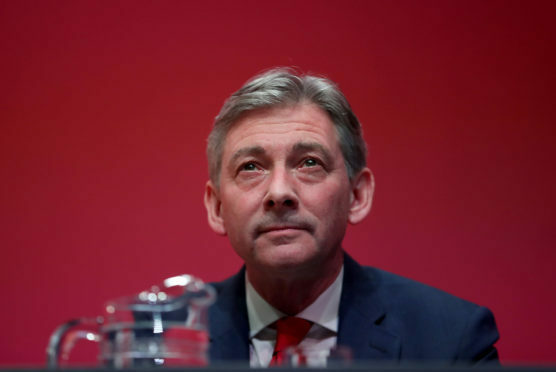 Party leader Richard Leonard proposed such a venture as he discussed his plans to offer a “radical agenda for change”, including treating public ownership as a “first resort”. As well as publicly-run bus services, he highlighted the prospect of a national oil and gas firm, saying in the Sunday Mail that there was a “case to look at whether there’s a public company who could operate in the North Sea alongside the private sector”. But the idea was questioned last night by Alex Kemp, professor of petroleum economics at Aberdeen University, who said he was “not really convinced” that such a firm would make a “big difference” to the North Sea at this stage. The British National Oil Corporation (BNOC) operated in the North Sea in the 1970s before being sold off, and there have been repeated calls for the reestablishment of such a nationalised firm, which are common in other oil producing countries. However, Prof Kemp said: “What would be the case for having a national oil company coming in? The first question would be is there a market failure? Are private sector companies missing opportunities, not investing enough? He added: “Of course we would like more investment. There are lots and lots of undeveloped fields, but the main reason they have not been developed is that they are not quite economic. “It would not be a great idea for a national oil company to take on fields at losses. “The other point is that a national oil company would have to find capital to invest, and there’s a scarcity of capital in the public sector. Prof Kemp argued that advances in technology and efficiency were the key to unlocking additional investment.